I spent most of this week recovering from MCVETs 5k and 10k races. My right upper hamstring and lower left hamstring were bugging me all week long. I know I keep saying I have to listen to my body and be careful, but it’s hard to not push and take chances when you are fit. I had a great race at the Bel Air Town Run 5k in 14:38. I went out hard the first mile and it definitely made it hard to maintain pace over the rest of the race. I am not 100% sure, but I may run Damien’s Run 5k in Columbia this weekend. They are offering some big money for breaking the course record, but Abiyot Endale came last year and ran 14:23! I think I may try and take a shot at it, but it’s going to be hard to beat. I definitely think I could have run under 14:30 in Bel Air last week had I pushed/maintained over the last mile, but it’s another big jump to 14:23. The good news is that the pace will feel somewhat familiar as I went through the mile and 2 mile last week at 4:26 and 9:12. We’ll see what happens…. Sunday: (Bel Air Town Run 5k) 2 mile warm-up…3.1 mile race….2 mile cool-down / pm: 30 minutes easy pushing double stroller. Race: 4:26/4:46 (9:12)/5:28 last 1.1 The first mile is definitely the fastest, but I wasn’t expecting to be at 4:26. In hindsight it was definitely too fast as I suffered from it over the last mile. The last mile is the hardest, but I shouldn’t have slowed down as much as I did. I lost the fight that was pushing me through the first 2 miles and found myself settling in. 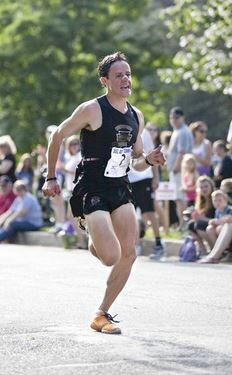 This entry was posted in Uncategorized and tagged 10k, 5k, baltimore, bel air town run, berdan, canova, damien's run, Dave Berdan, david berdan, half marathon, marathon, training on June 4, 2013 by daveberdan. Won in 14:38!…my second fastest road 5k! Race and week recap coming soon. 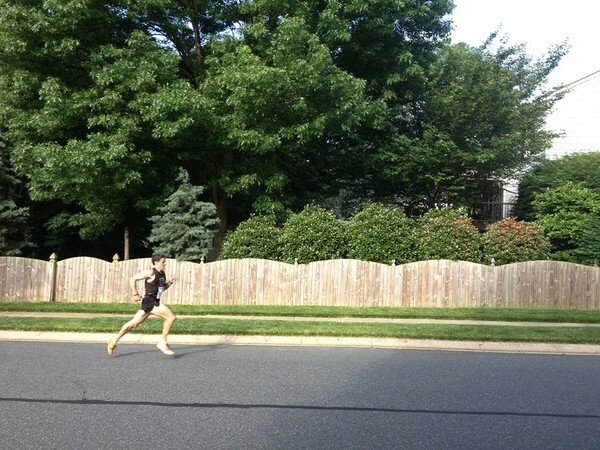 This entry was posted in Uncategorized and tagged 5k, baltimore, berdan, dave, david, keystone track club on June 2, 2013 by daveberdan.